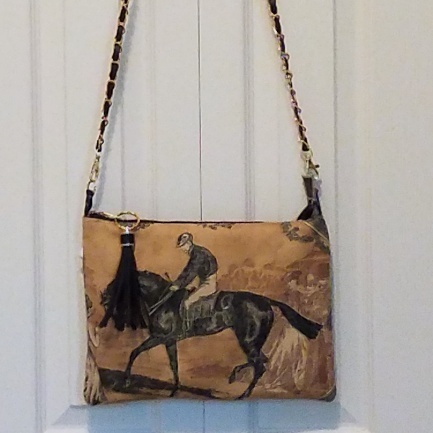 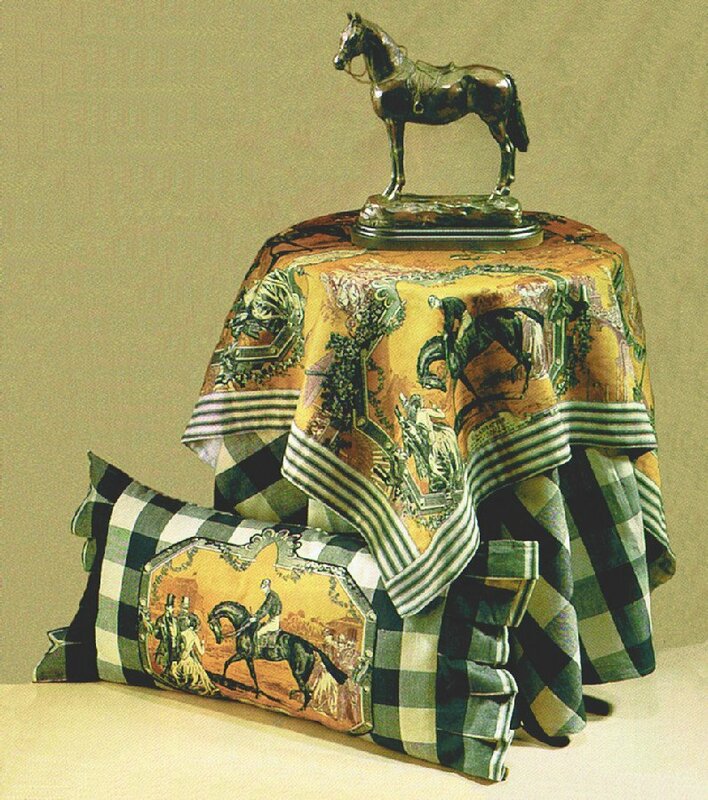 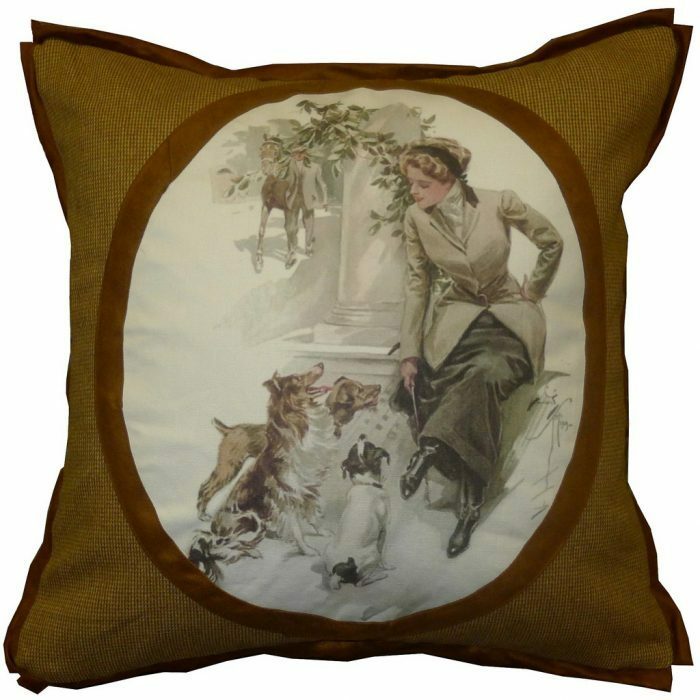 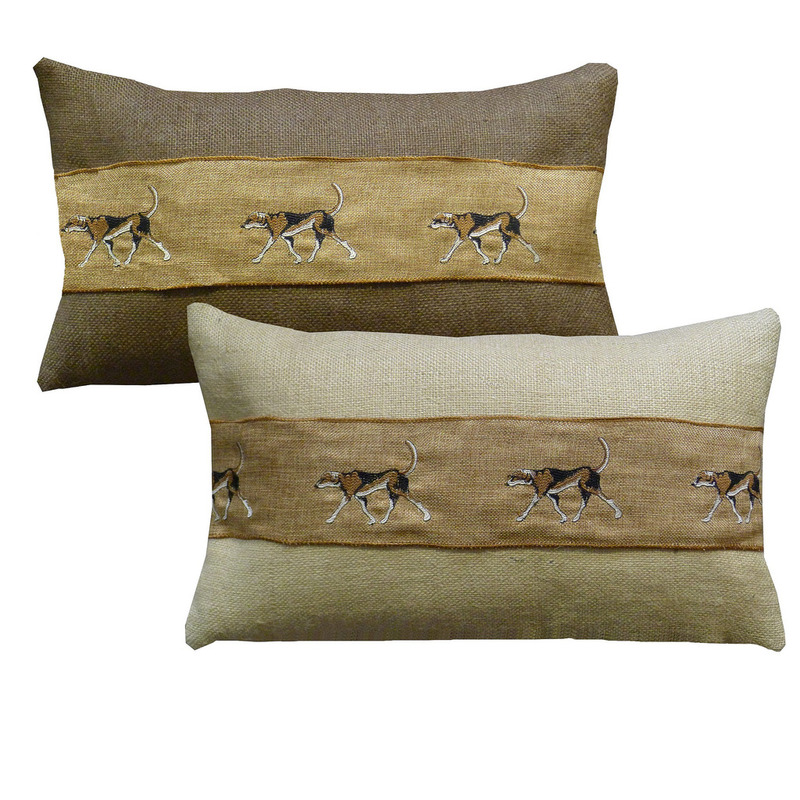 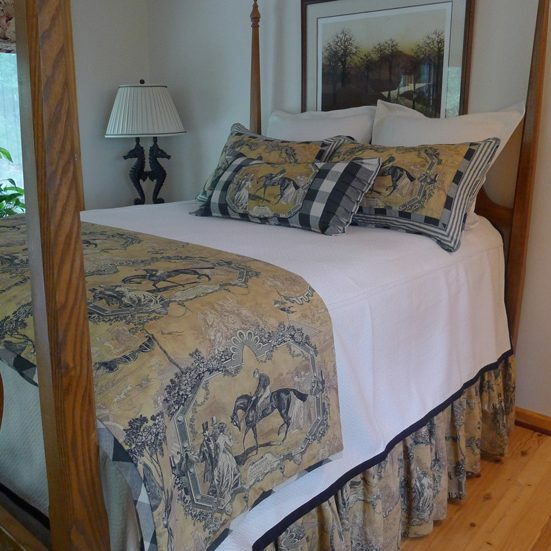 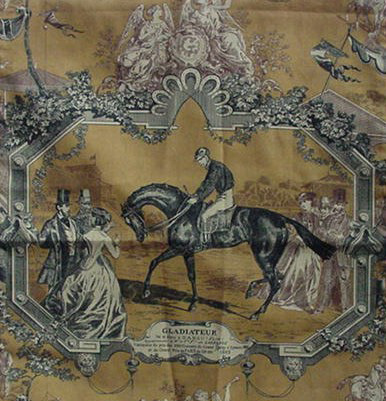 Equestrian is a classic horse toile printed on 100% cotton in a rich soft black and amber colorway. 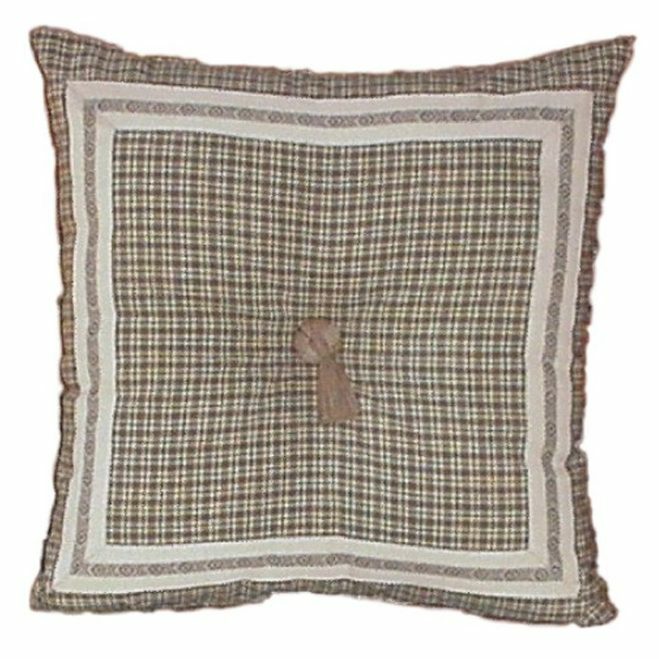 Coordinates include custom colored charcoal and tan buffalo check and ticking fabrics woven in 100% cotton. 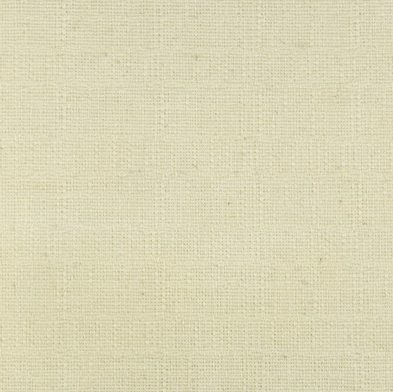 Pieces from our Basics Collection easily mix with this handsome toile, offering many ways to create your own unique look. 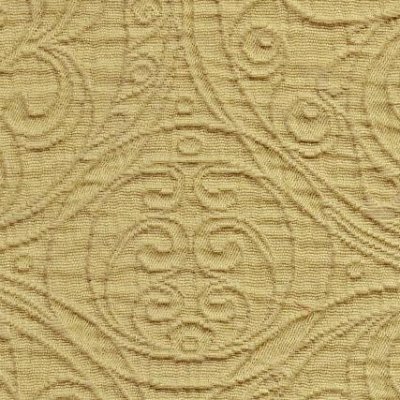 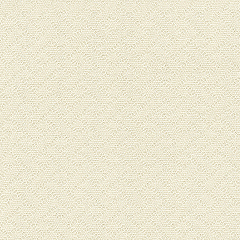 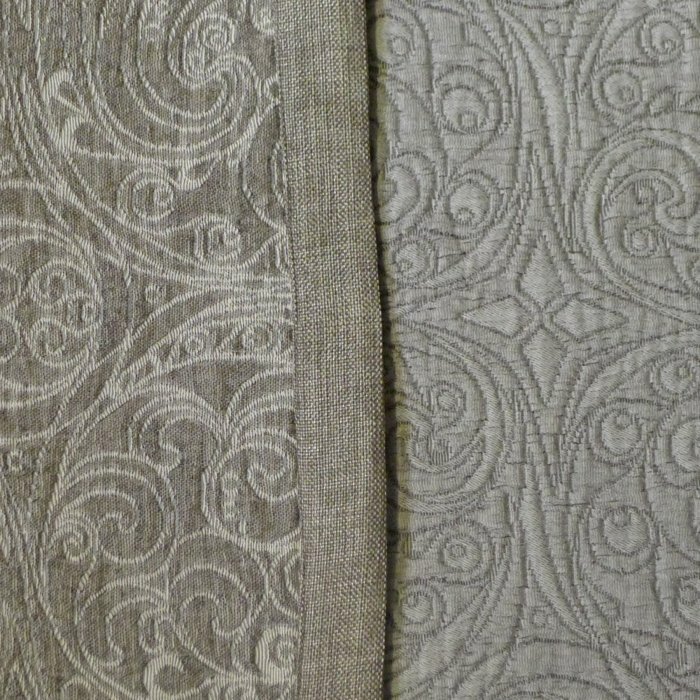 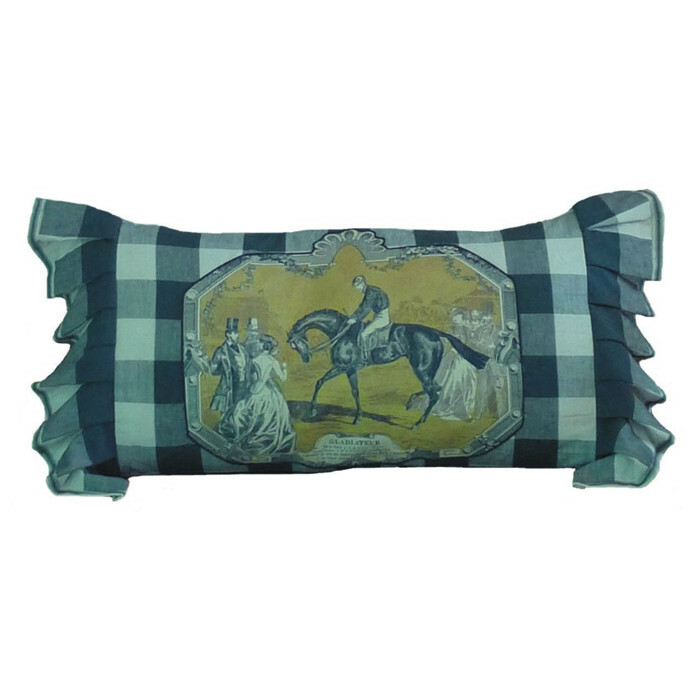 We also offer this toile in a soft aqua and brown on cream for a totally different look – see the Cloud Equestrian Collection. 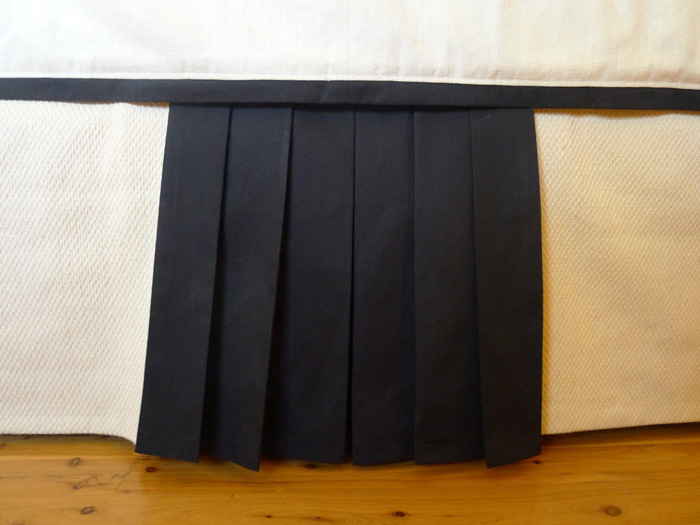 Dust skirt is lined and comes in 3 sections for easy installation with included “Tidy Pins” to anchor the dust skirt. 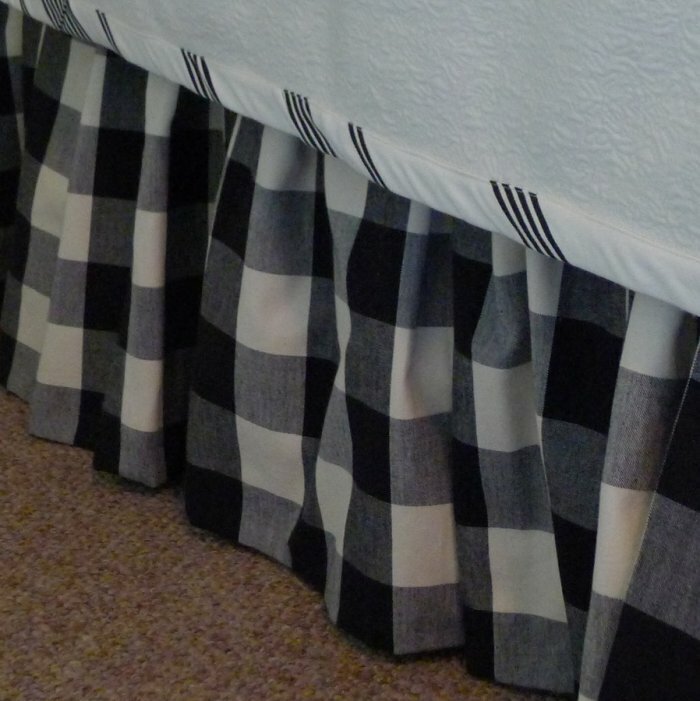 Black/soft white ticking also coordinates with this collection. 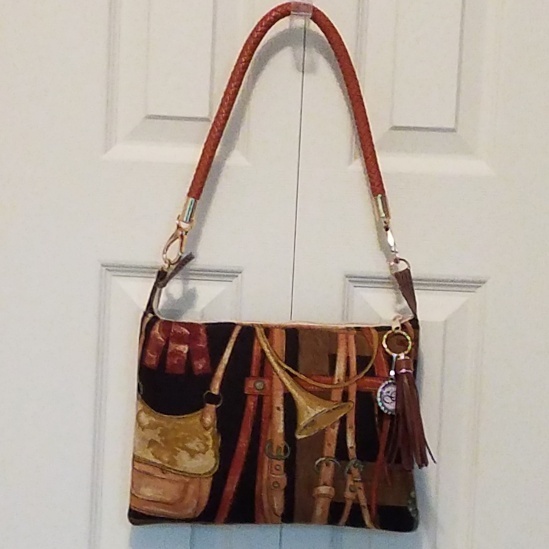 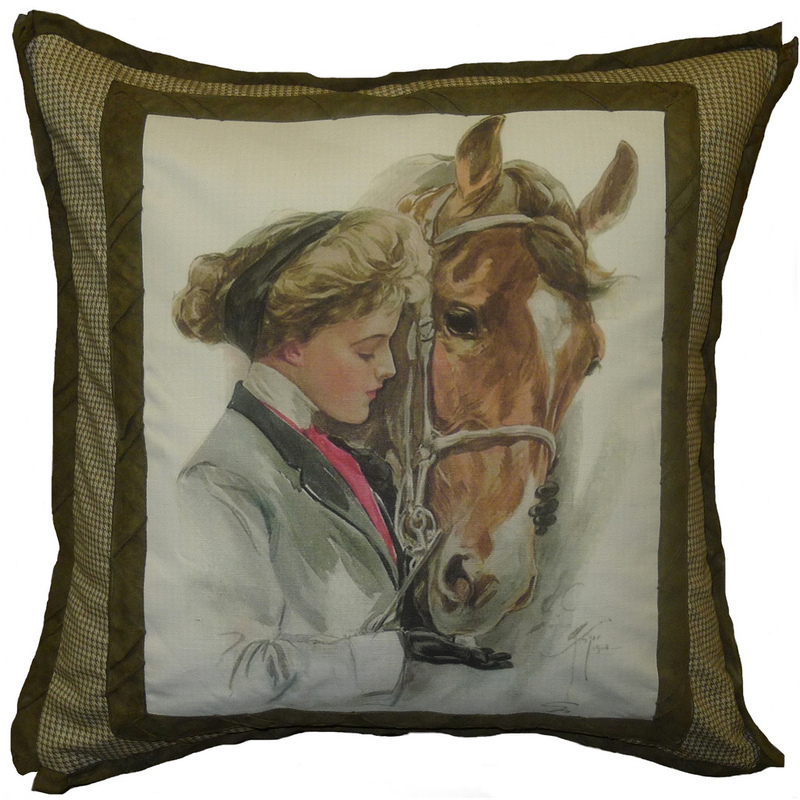 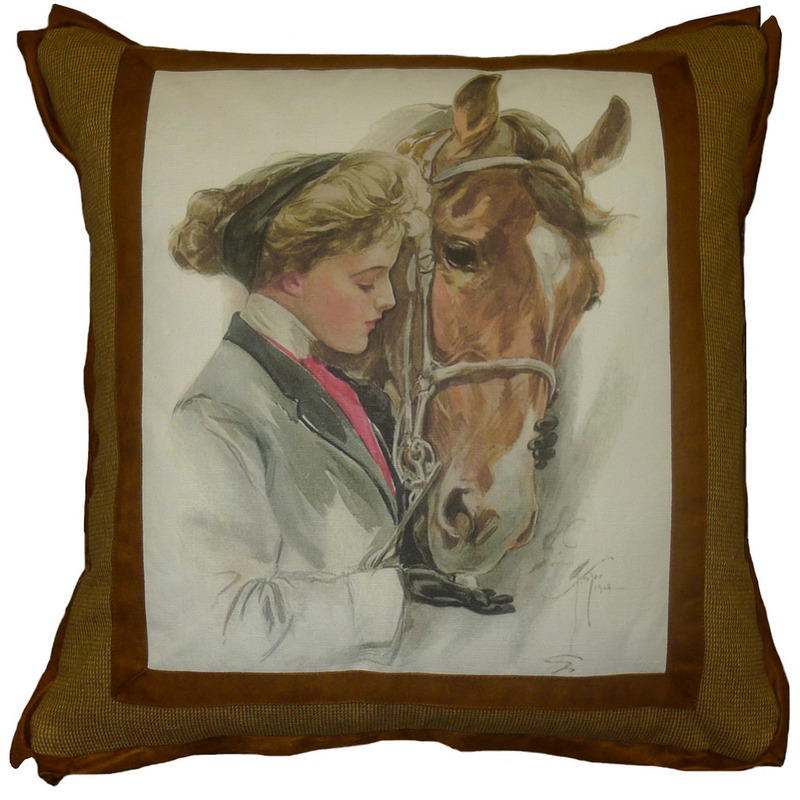 BAEQSham-1S – 20×26 Black Amber Equestrian Sham with Charcoal/Tan Ticking & Buffalo Check trim. 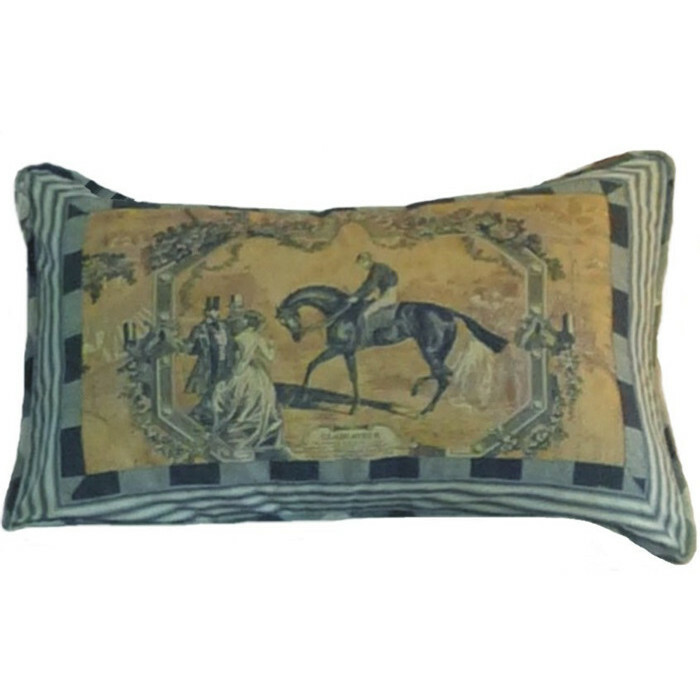 BAEQSham-1Q– 20×30 Black Amber Equestrian Sham with Charcoal/Tan Ticking & Buffalo Check trim. 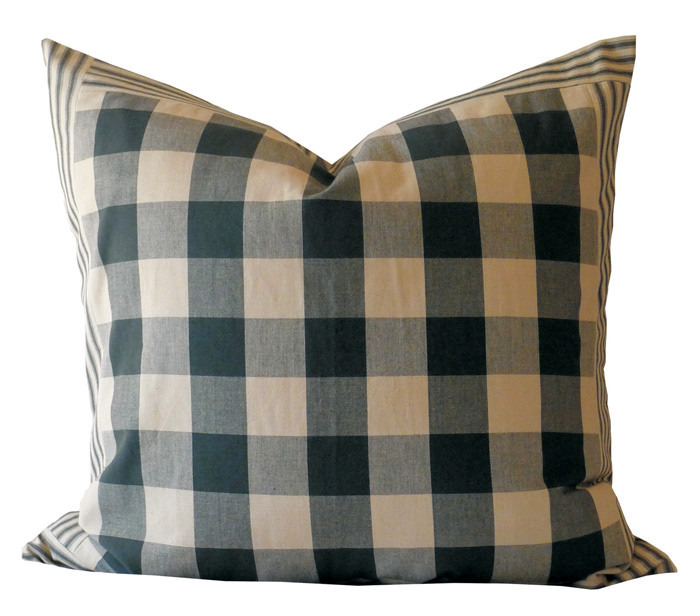 26 26 Euro sham in Charcoal/Tan Buffalo Check with ticking railroaded border. 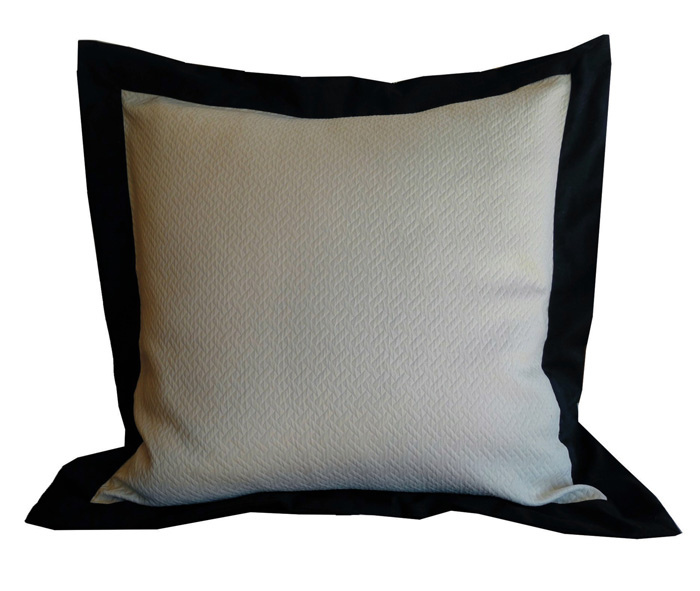 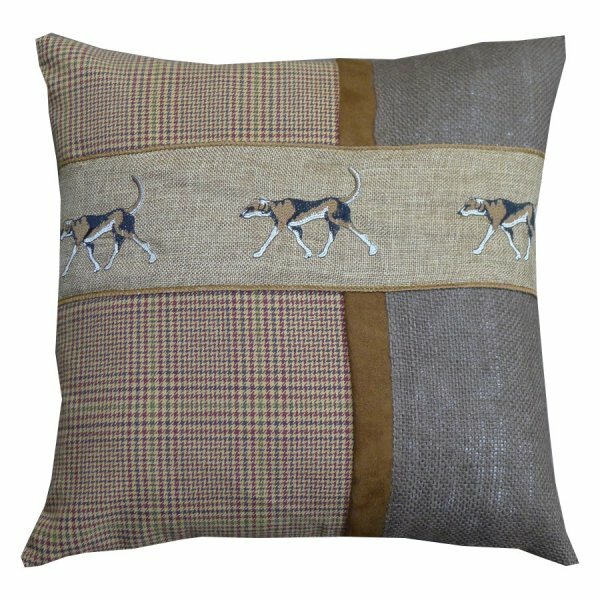 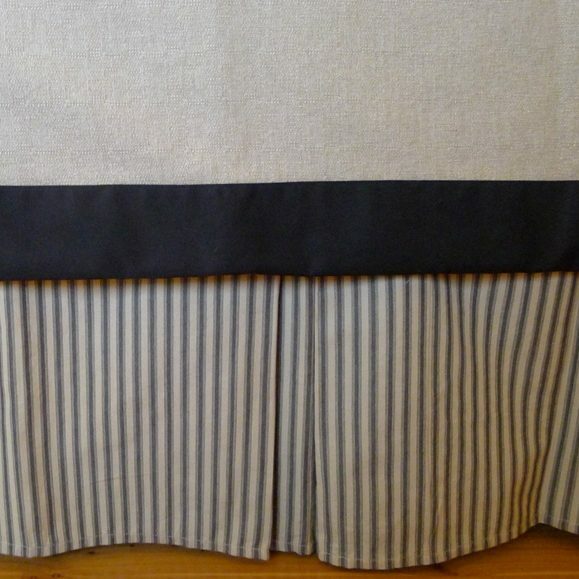 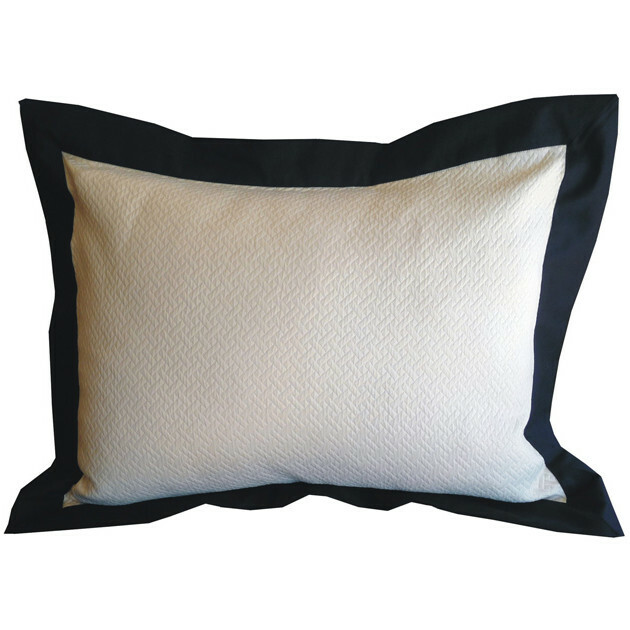 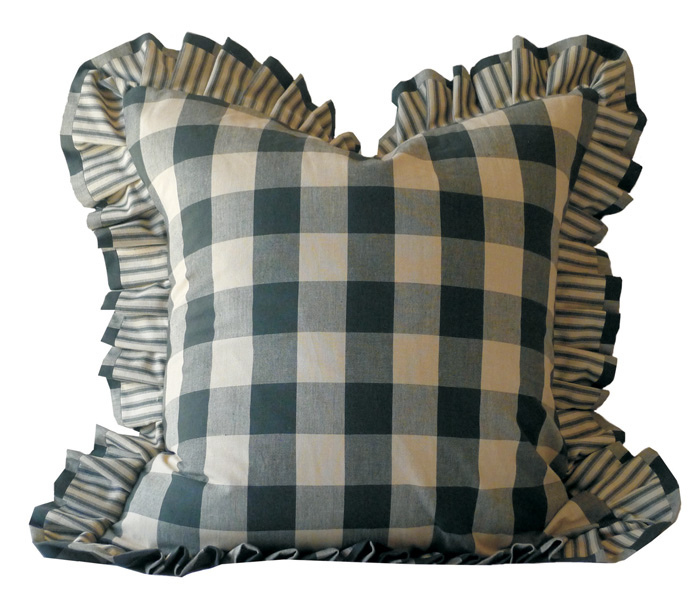 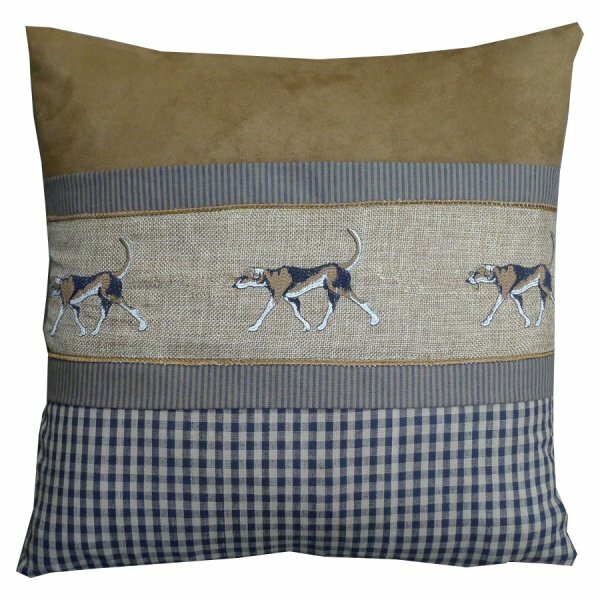 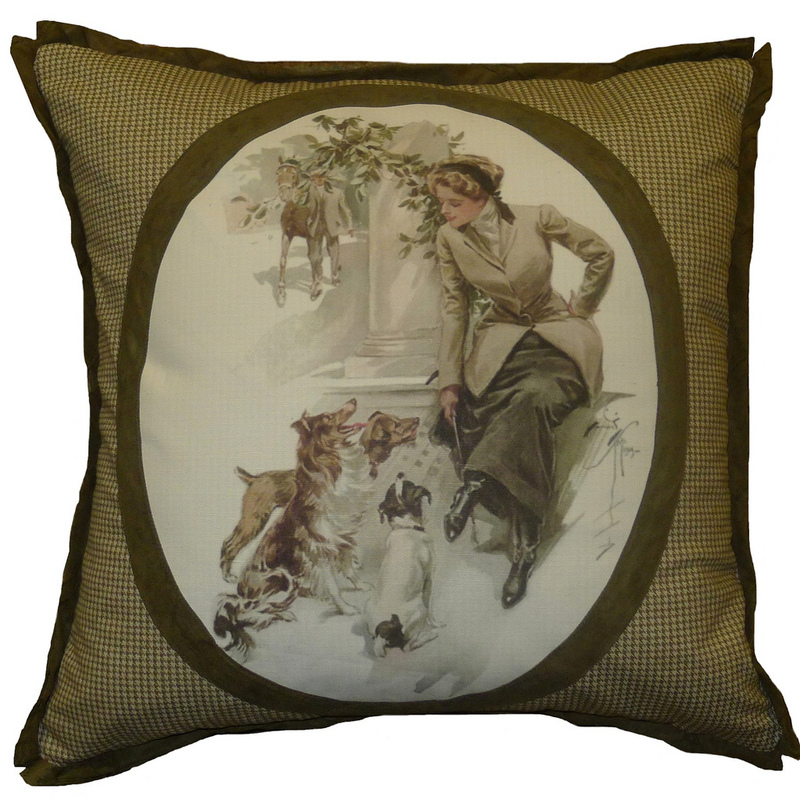 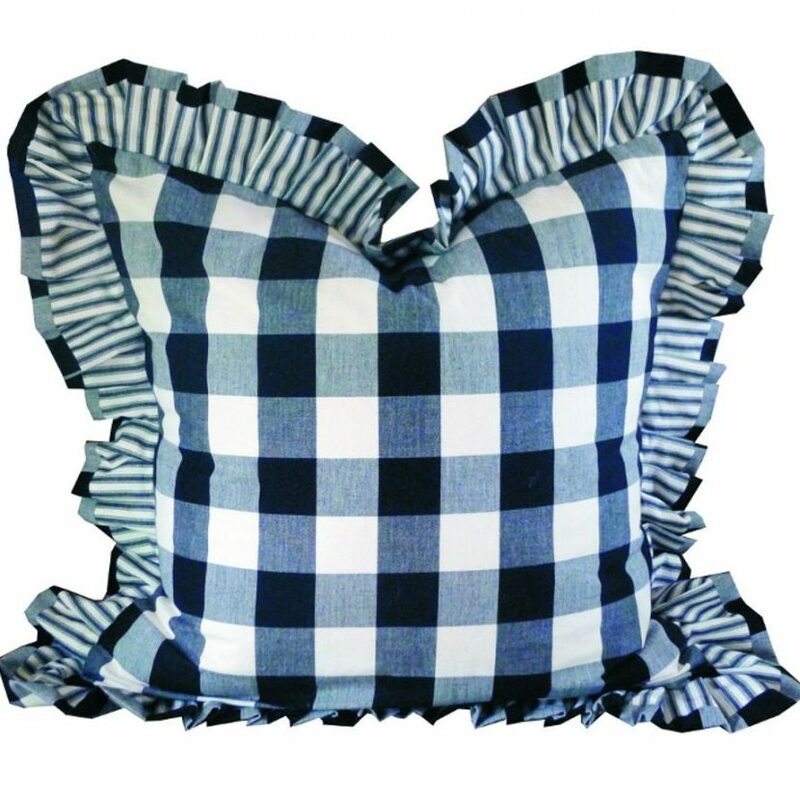 26×26 Euro sham in Charcoal/Tan Buffalo Check with ticking and check ruffle. 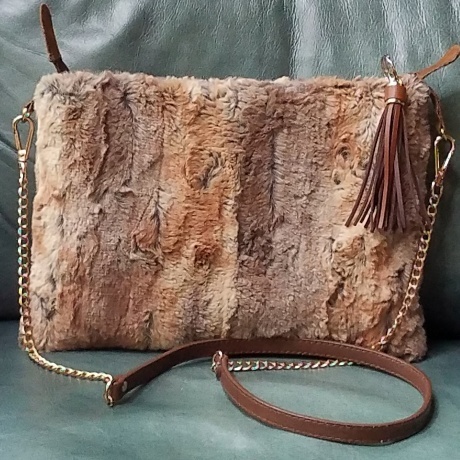 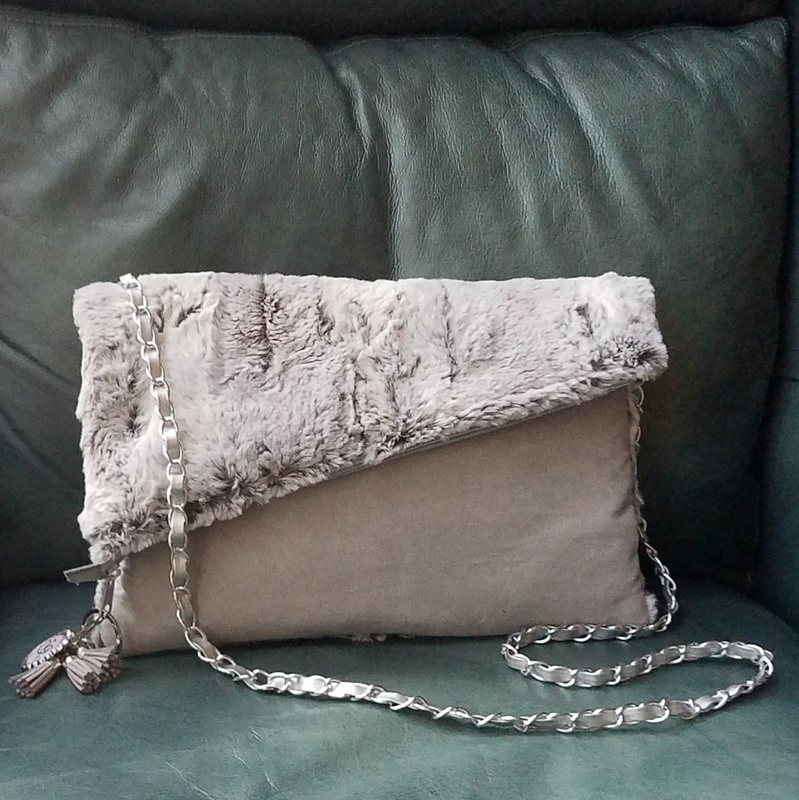 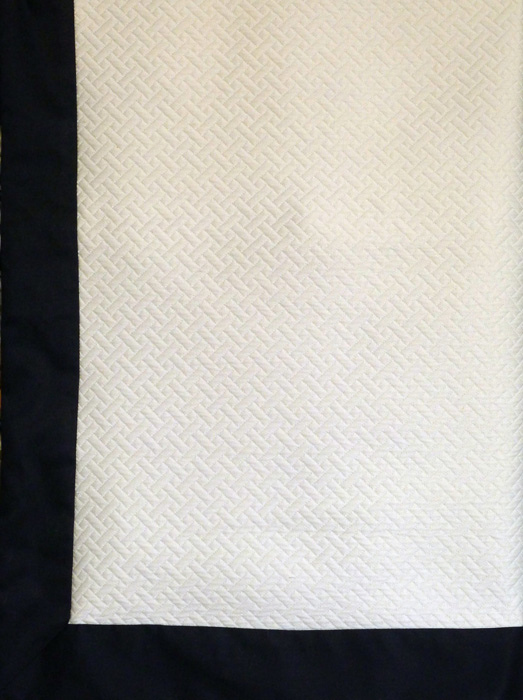 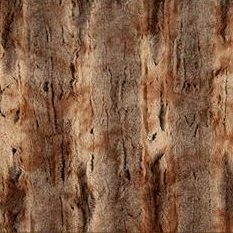 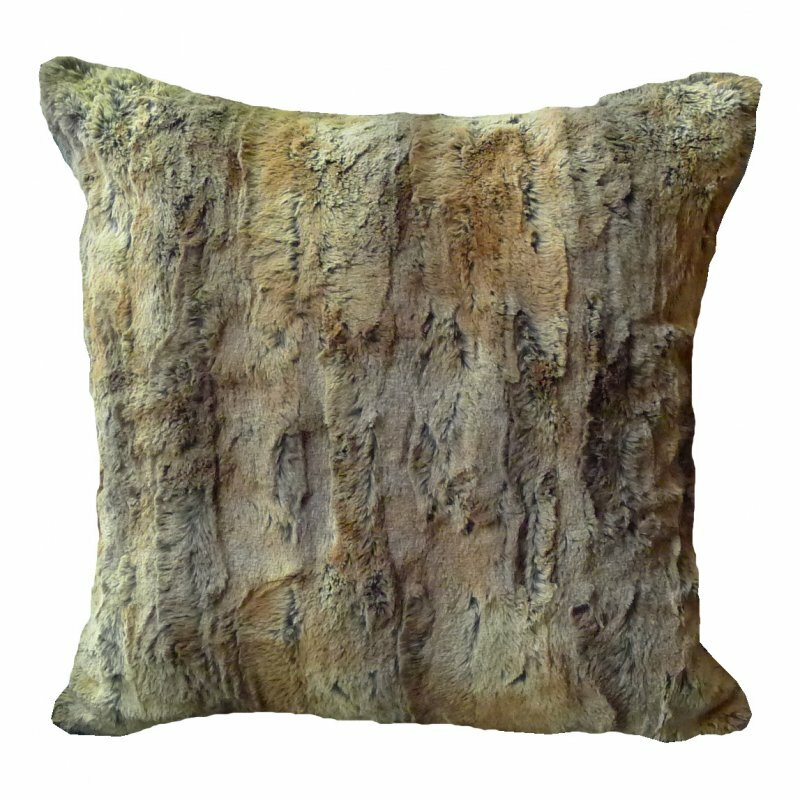 57″ wide 100% polyester minky, cold water wash.
Faux Fox Fur 57″ wide 100% polyester minky, cold water wash.